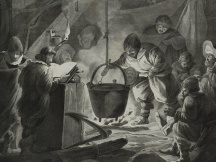 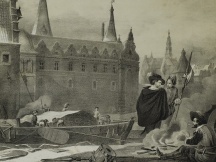 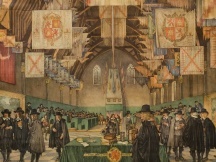 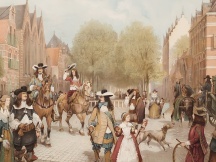 The scene is located at the St. Agatha monastery in Delft. 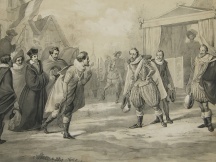 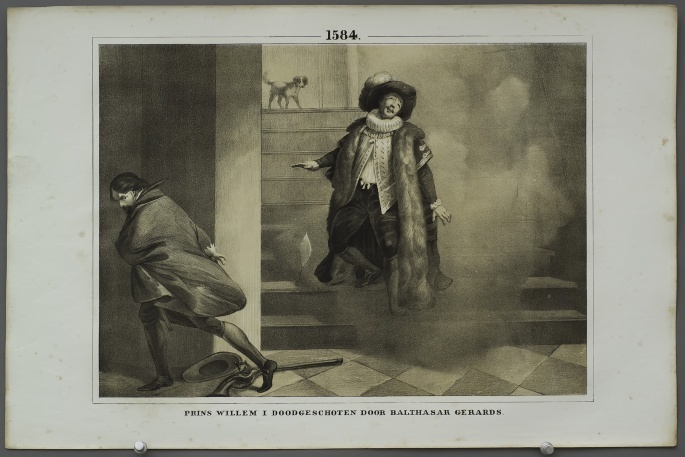 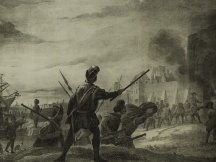 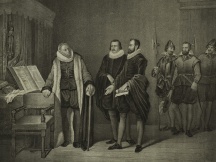 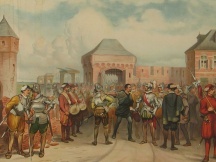 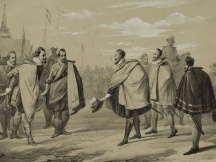 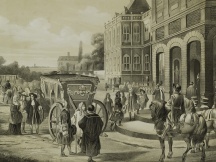 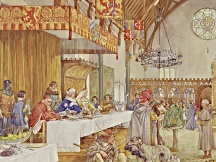 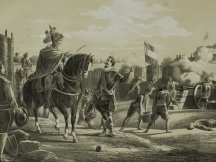 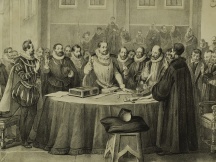 William of Orange leaves the dining room and is awaited by the French Catholic Balthasar Gerards with a pistol. 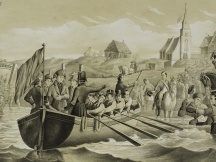 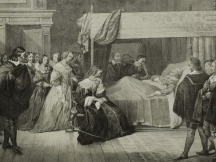 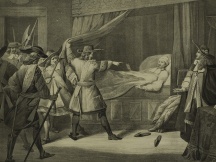 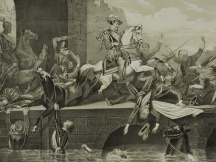 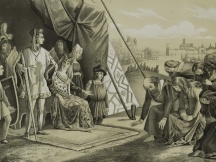 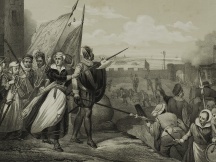 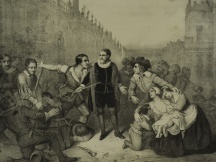 William of Orange is fatally hit.